Stainless steel with grey padded seat and back rest. Buying this product will earn 2693 Loyalty Points. 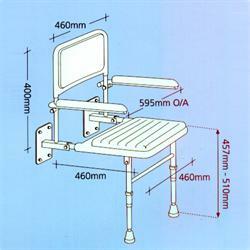 Be the first to submit a review for the Shower Seat with Drop Down Arms & Legs.